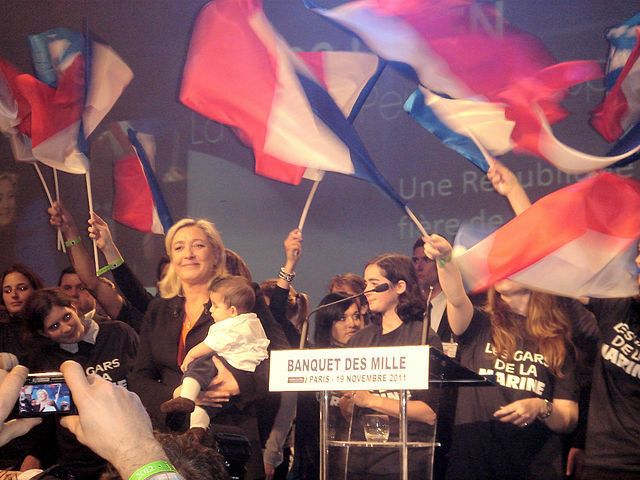 French youth overwhelmingly support "far-right" National Front candidate Marine Le Pen, a new Ifop poll shows. 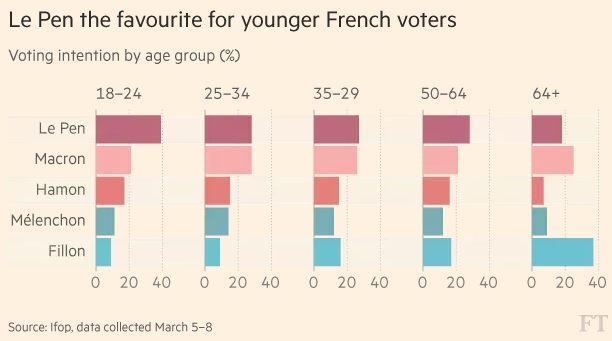 According to the poll, 39% of French voters age 18-24 are supporting Marine Le Pen, while only 21% are backing Emmanuel Macron and 9% Francois Fillon. Justine Dieulafait, an 18-year-old Le Pen supporter, told the Financial Times that "young people are in revolt." "We have had 50 years of right and left, and look at the millions of us that are unemployed, living in poverty, without stable jobs or housing . . . it's time for a change in the system, it's time for Marine." While kids brainwashed by Marxists in public schools tend to be more supportive of leftist policies than older adults in most western countries, France appears to be an exception. I guess no amount of brainwashing can hide the fact their society has not been "cultural enriched" but is instead being destroyed.